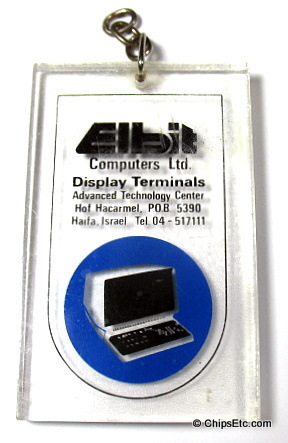 A computer Video Display Terminal (VDT) is an electronic peripheral device used to display data from a computer or a computing system, and to input data into the system using a keyboard. 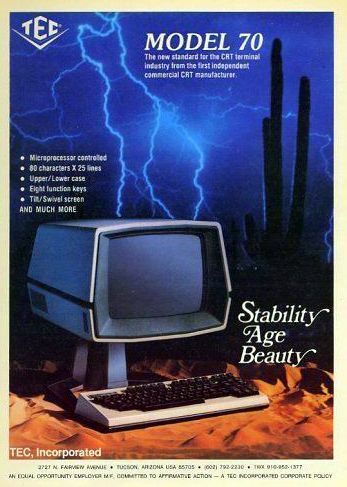 CRT computer displays used cathode ray tubes (vacuum tubes) and were popular from 1960 to the 1990's. 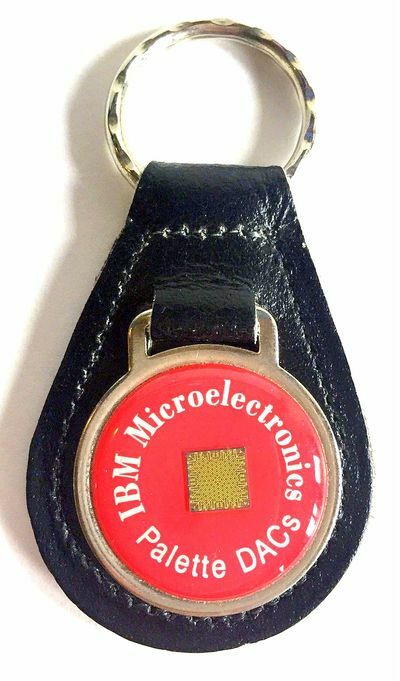 CRT displays were monochromatic (one color) up until 1981, when IBM released a four color CRT display. 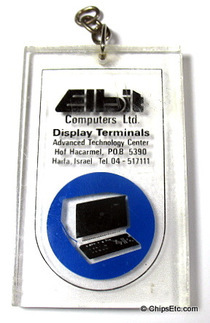 Today, most computer displays use either LCD or LED technology. 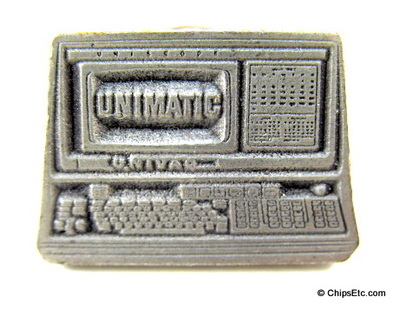 Early computer terminals were inexpensive devices but very slow compared to punched cards or paper tape for input, but as the technology improved and video displays were introduced, terminals pushed these older forms of interaction from the computer and data processing industries. 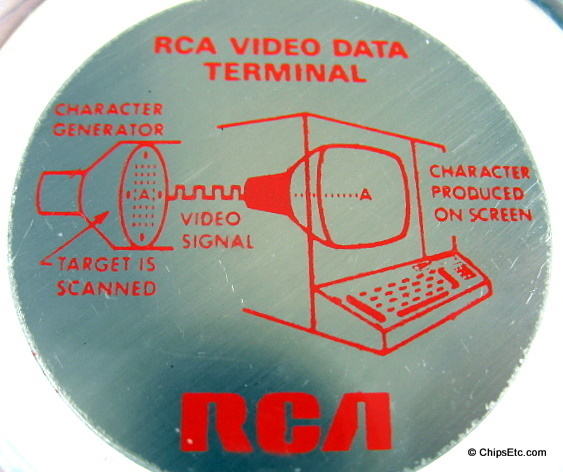 Some video displays for early computers (those that needed to display more text than was practical using vectors, or that required high speed for photographic output) used Charactron CRTs. These specialized CRT tubes incorporate a perforated metal character mask (stencil), which shapes a wide electron beam to form a character on the screen. The system selects a character on the mask using one set of deflection circuits, but that causes the extruded beam to be aimed off-axis, so a second set of deflection plates has to re-aim the beam so it is headed toward the center of the screen. A third set of plates places the character wherever required. The beam is briefly "un-blanked" (turned on) to draw the character at that position. 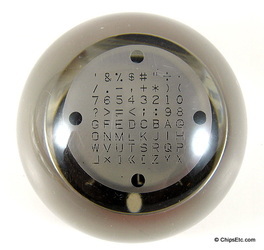 Graphics could be drawn by selecting the position on the mask corresponding to the code for a space (in practice, they were simply not drawn), which had a small round hole in the center; this effectively disabled the character mask, and the system reverted to regular vector behavior. The Charactron tube was invented by Joseph T. McNaney and was then developed by the Consolidated Vultee Aircraft Corporation (Convair) starting in 1950. In the mid 1950's, other companies would develop their own versions of the Charactron CRT tube display, including General Dynamics, RCA & Stromberg-Carlson. Stromberg-Carlson's Charactron CRT displays were selected to be used in the U.S. Government's "SAGE" air defense computer systems in the mid to late 1950's. The 7" type C7C11 charactron beam tube could reproduce 0.03 in. high letters or numbers at the rate of 1.2 million per minute. The display screens were a mere 4.5" square.